That Lévi had a profound influence on Crowley there is no doubt. Crowley translated Lévi’s The Key of the Mysteries as his own Adeptus Minor thesis, and Crowley went as far to claim in Magick in Theory and Practice that he was the reincarnation of Lévi! Therefore, it is not unreasonable to suggest that Lévi influenced Crowley in the matter of the Four Powers of the Sphinx. By surveying the work of Eliphas Lévi, so shall we come to a better understanding of the Four Powers of the Sphinx. The Sphinx is a composite creature, having the head of a Man, the torso and front paws of a Lion, the backside of a Bull and the wings of the Eagle. It symbolizes the synthesis and synergy of the Four Powers, represented by the “fourliving creatures of symbolism” (the Kerubs) who have been “conquered and enchained” into one figure, the Sphinx. (See Table 1 for correspondences.) The aspirant is instructed to be the “heir and despoiler of the sphinx,” to both receive and to partake of the four Elements. “You must thoroughly understand that elemental beings are souls of an imperfect type, not yet raised in the scale up to human existence, and that they can only manifest power when called into action by the adept as auxiliaries to his will, by means of that universal astral fluid in which they live. The kingdom of the Gnomes is assigned to the North, the Salamanders to the South, the Sylphs to the East, and the Undines to the West…. 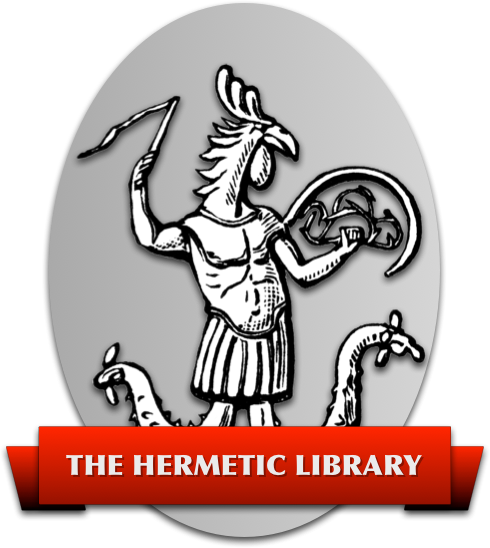 “Their symbols are those of Taurus the Bull for Gnomes; Leo the Lion for Salamanders; the Eagle for Sylphs; and the sign of Aquarius for Undines…. “Do you now understand the Enigma of the Sphynx? …Yes, you know that the Sphynx refers to Man. Man is like the Sphinx. Both are composed of the four Elements, but in Man they exists in different proportions and are unbalanced, while in the Sphinx the Elements are balanced and synergistic. The Sphinx represents the perfected Man, the Magus. The Four Powers of the Sphinx are “the four words of the Magus,” the “four indispensable conditions” which bring Man to the state of perfection and balance symbolized by the Sphinx. “The great secret of magic, the unique and incommunicable Arcana, has for its purpose the placing of supernatural power at the service of the human will in some way. To attain such an achievement it is necessary to KNOW what has to be done, to WILL what is required, to DARE what must be attempted and to KEEP SILENT with discernment. “Homer’s Odysseus had to contend with the gods, the elements, the cyclops, the sirens, Circe, etc. … that is to say with all the difficulties and dangers of life. So ends our survey of the Four Powers of the Sphinx as defined and developed by Eliphas Levi. In our next essay, we will examine Crowley’s writings on the Powers of the Sphinx, including the addition of a Fifth Power–to Go.